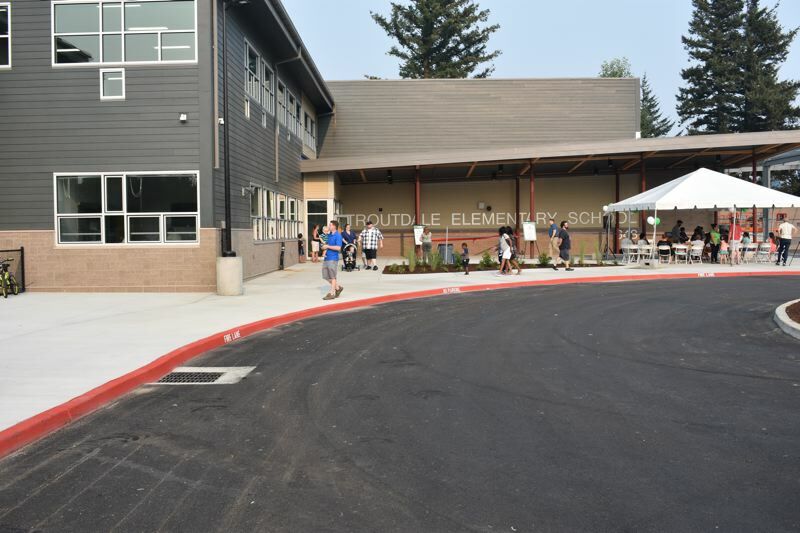 After several years of planning and construction, Reynolds School District officially opened its three new elementary schools and a remodeled high school with a series of ribbon cuttings this week, just in time for the 2018-19 school year to commence. 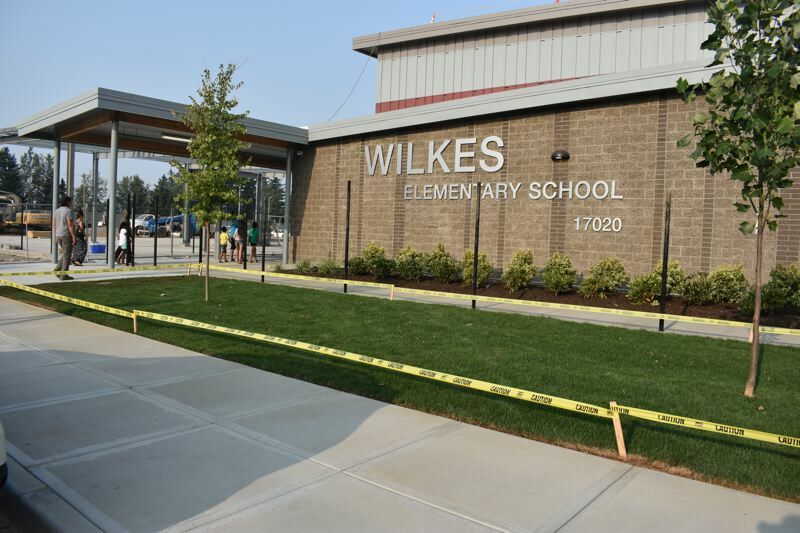 The Reynolds School District replaced Troutdale, Fairview and Wilkes elementary schools. Reynolds High School was also renovated and expanded. Other district schools got safety and security upgrades. 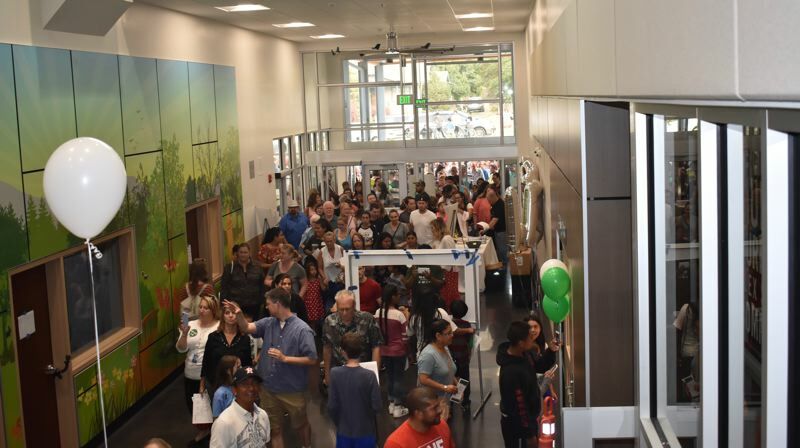 "This is an exciting time for students, family, teachers, staff and the entire community," said new Reynolds Superintendent Danna Diaz at one of the ribbon cuttings. She joined retired superintendent Linda Florence and others to welcome local dignitaries and families to the four celebrations. 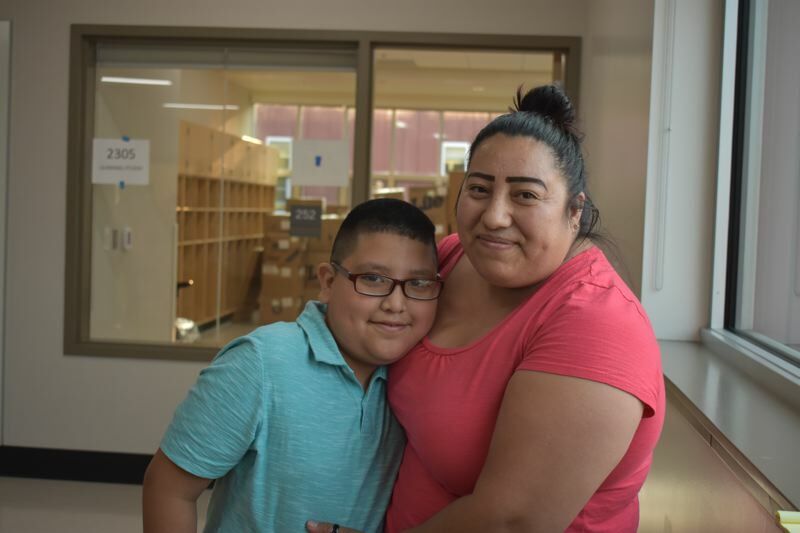 Angel Guzman, who will be in fourth grade at Wilkes Elementary School, is excited about his shiny new school, but also is a teensy bit anxious. "It's definitely big. It'll take me a couple of times walking around to remember" where things are, he said. His mom, Alberta Hernandez, agrees. "It's amazing," she said. "It's really, really big. It's a big change for him." The ribbon was cut at Wilkes, 17020 N.E. Wilkes Road, on Tuesday, Aug. 21. 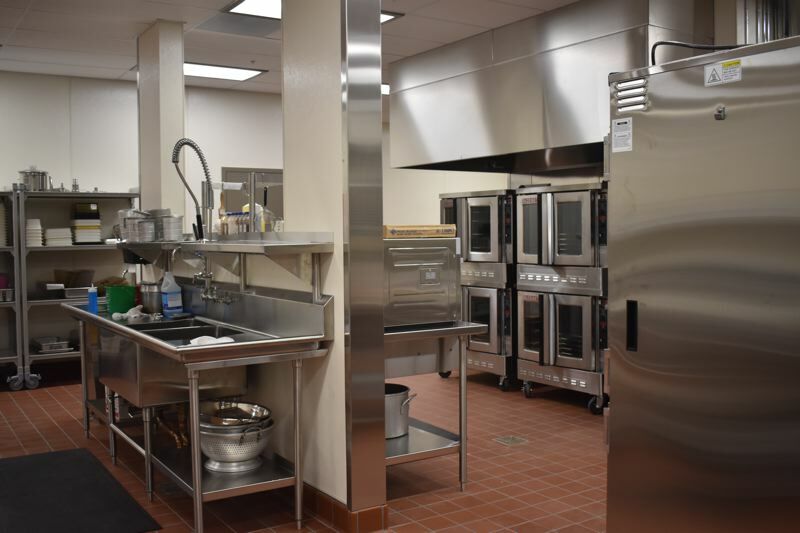 One of the biggest upgrades for the Wilkes Wildcats is the spacious, light-filled cafeteria and multi-purpose room. The old cafeteria was a dingy spot in the school's basement. 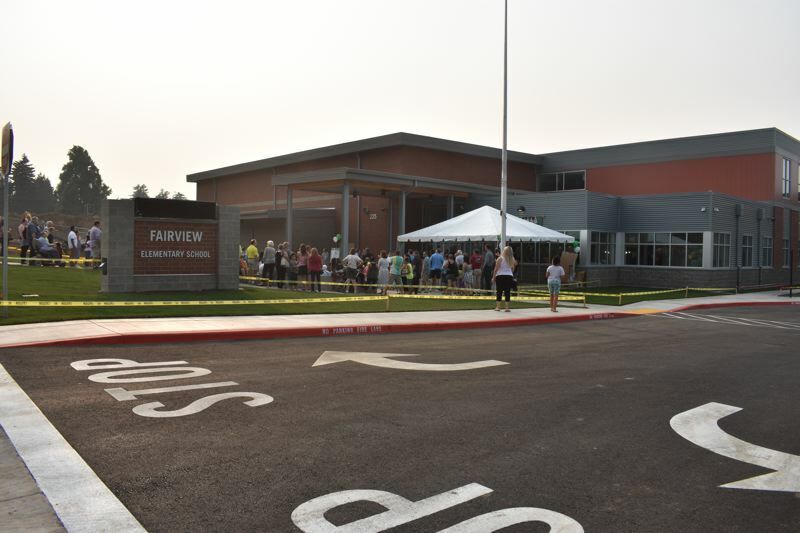 Students and families also were impressed with the new Fairview Elementary School. The home of the Eagles, at 225 Main St., was opened on Monday, Aug. 20. "For me it looks like a mansion for rich kids," said Jenmyfer Solano Gonzalez, who will be in second grade at Fairview. "It's so big. I'm really excited." The Troutdale Tigers got a look at their new home at 648 S.E. Harlow Ave., on Wednesday, Aug. 22. 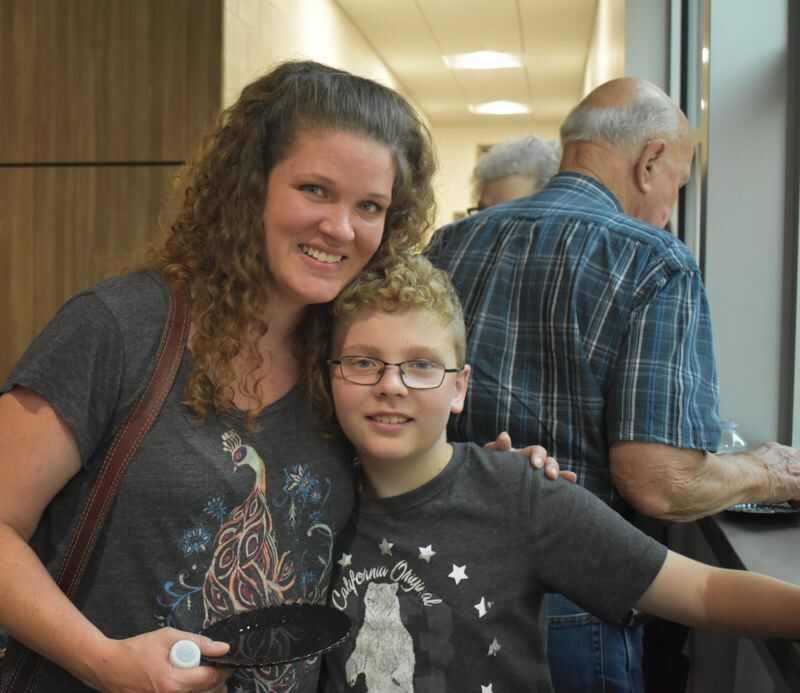 James Ellisor, who is going into fifth grade at Troutdale, declared the new school "awesome." He said his favorite thing was "the view from the top. I can see the airport" from the second floor classrooms. His mom, Lacey Ellisor, agreed. "I think it's beautiful. I'm sad to see the old one go," she said, "but this is really beautiful." Troutdale Elementary Principal Ed Krankowski, greeting families and chatting with volunteers, called the new school "spectacular." "It makes all the little inconvenient parts of the moving process well worth it," he added. The elementary students attended the three schools in the old buildings while the new ones were under construction next door. Then, this summer, the old school buildings were demolished. Playgrounds, ballfields and parking lots are being installed where the old schools once stood. Students also attended Reynolds High School during construction and remodeling. 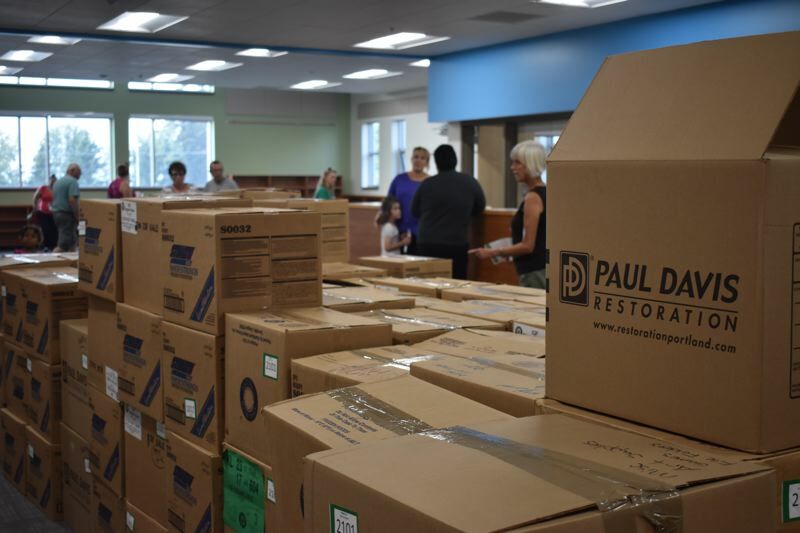 Construction managers said almost everything will be ready by the opening of school in September, even though a few things were not completed before the ribbon cuttings. The ballfields will not be ready for play for a month or more, and the Fairview Elementary playground won't be finished until the end of September. The Fairview site proved difficult because crews kept unearthing huge boulders that had to be removed. All three buildings reflect a nature theme in their design. All have murals in the sweeping, two-story entry halls that are in the same style, but depict different nature scenes. The three new buildings are light and airy and designed to be extremely energy efficient. "These buildings will be 60 percent more energy efficient that similar buildings," Jessica Iplikci, Energy Trust's new buildings program manager, told those gathered at the first two ribbon cuttings. 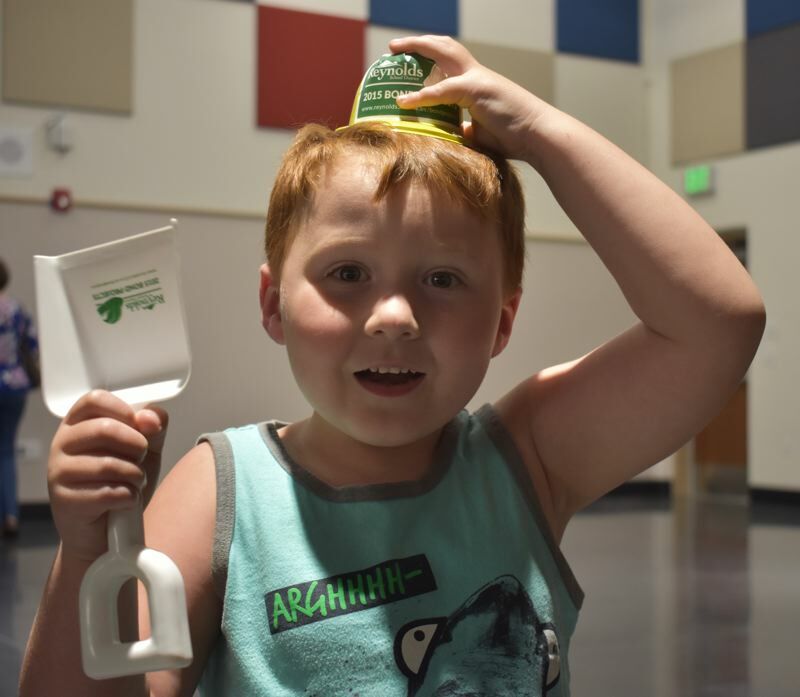 Energy Trust of Oregon, a nonprofit organization that promotes energy efficiency, said the Reynolds district is the first school district in the state to enroll in the agency's Path to Net Zero initiative. Net zero buildings create as much energy as they consume. The new Reynolds schools are part of a building program paid for by a $125 million bond voters approved in May 2015. The ribbon was scheduled to be cut at Reynolds High School, 1698 S.W. Cherry Park Road, Thursday, Aug. 23. Marea Peters, a first-grade teacher at Wilkes, was reminiscing about her 18 years at the school, when she was interrupted by a young woman who stepped up and hugged her shyly. Greeting her warmly, Peters noted the young lady, one of her former kindergarten students at Wilkes, is now studying to become a teacher. She, in fact, will be student teaching at Wilkes in the fall. "I love Wilkes," Peters said, watching her former student continue down the hall. "I can't wait to make new memories in the new building."